I was recently contacted about trying out some hair care products from STRUCTURE. I've personally never heard of the brand before but after I had a look at the website and I saw that the products were reasonably priced and also have nice packaging, I agreed to give them a try! The first product I tried out was the GLAMTEX Backcomb Effect Spray* and I was intrigued about trying it. I do tend to backcomb/backbrush my hair a little because my hair is quite flat. But I also like to sprinkle in some Schwarzkopf got2b Powder'ful Volumizing Styling Powder if I'm feeling a bit lazy, it doesn't feel amazing in my hair but it gives me a good amount of volume whilst adding a little texture as well. So having the STRUCTURE spray seemed quite appealing to me. Also after reading the back of the product I found out you can also use this all over to add texture, which again appeals to me as I like wearing styling my hair in beachy waves often and that kind of hairstyle needs some added texture to get the full on "beachy vibes". 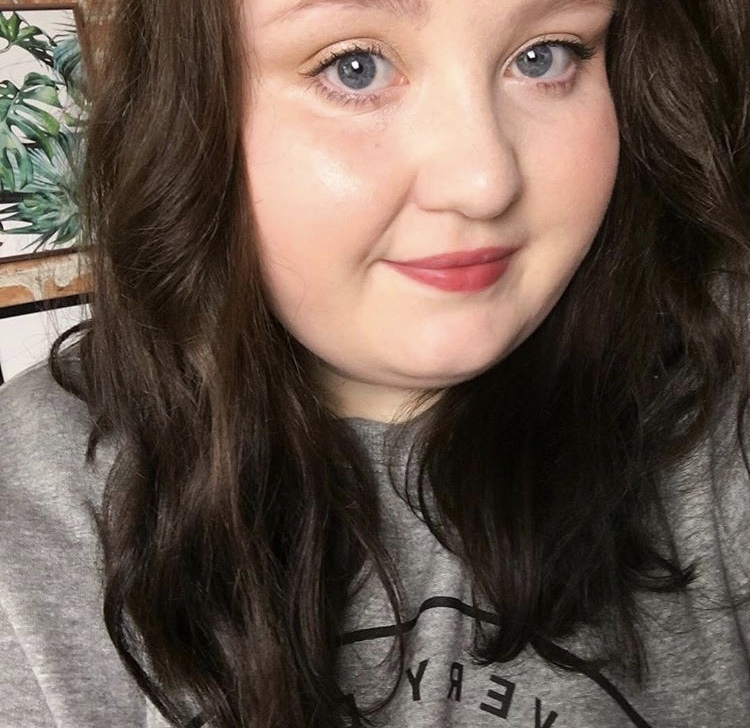 I've now used the STRUCTURE GLAMTEX Backcomb Effect Spray a number of times now and I've found it to give a nice amount of texture and volume to both my roots and also my mid-lengths and ends. It does say on the website that it smells gorgeously scented but I personally think it just smells like your average hairspray to be honest. I do like the product itself and what it does but I'm not overly keen on the scent but I think I would pick it up again as I do like what it does for my hair. The TRANSFORM Spray Clay* is kind of similar to the GLAMTEX Backcomb Effect Spray. It's for giving your hair a boost of texture with a medium hold but can build to a stronger hold by adding more product. Again I've found this to be great for my beachy wavy hair style I tend to opt for - you can apply it with either your hands or by spraying it on - I personally prefer spray it onto my hair as the product is a little sticky to use with your hands. But it does a good job and I feel like it's a 2-in-1 kind of product as it adds texture to my hair but also holds in a place too. Overall I've liked trying out STRUCTURE hair care, I think I prefer the GLAMTEX Backcomb Effect Spray as it just appeals to me more and I'm a sucker for packaging and I like the GLAMTEX packaging more. I also think it works better for my everyday go-to kind hair too. But I would definitely try out some more products from STRUCTURE in the future and would recommend giving them a try if you're looking for some new products for your hair. Halloween is ever approaching, bringing with it the wet and windy weather and a spook on the air. So it’s time to get your celebration plans in order! Getting the best out of a halloween party can be easily done when you have all the right ideas and tips tucked up in your head, and especially if you start the process early. Here’s a few tips on making the night go a little further with your food and party decks, so you feel really good about putting all the effort in. If a birthday and halloween are coming up at the same time this year, why not go the extra mile and combine them both in an epic move by renting a house for a party. It can be a lil’ pricey, and you’ll probably need to save up or get all friends and families to chip in, but it’ll be an amazing experience to cross off the bucket list. You’ll have the space and soundproofed area to go wild with music and dancing. And maybe even a little screaming depending on who turns up out of the dark… there’s some great pranking opportunities in a new house with lots of corners! Food and drink, but mainly good food, is what brings everyone to a party for the night. So you’ll need plenty of it to keep guests having the best time possible. There’s a lot of foods you can throw together in five minutes and place on the finger table, or you can hone your craft. It’s called Devil’s Food Cake for a reason, so break out a box of that mix or whip up from scratch for the season. Use red icing or frosting to top the base off, and then some royal icing to create devil horns to stick out the side. You’ll be taking a bite out of a demon with each cake. Go wild with your cupcakes and pumpkin pies. Little jelly spiders or webs can be painted across the tops. An obvious choice is to stick to the halloween staple and carve a pumpkin. Carving out a pumpkin is a lot of fun. It’s even more fun when you break away from the mold and throw some humour into your knife carving. Try picking up some proper carving tools first to properly get in all the sections you want, and to get that blood thirsty smile as sharp as possible. Pick up some pumpkins from your local supermarket and carve them out, then use them as greetings at the door. This looks extra spooky when there’s a good candle inside, and a wide toothy grin to scare the trick or treaters. If you like the fancy, or you think you might be throwing a high society vampire party, you can paint your pumpkins in silver, gold, and bronzed tones and then pop a glass or bottle inside, then pop your flowers in the neck. Super classy at such a cheap price. You can also break out the toilet roll to wrap up a mummy in. Get a cheap manikin hand or a stuffed glove and place it under a dark door for a spooky surprise, or hang it out of a fake web so it’ll dangle in the breeze. Costumes are arguably the biggest part of halloween celebrations. They make or break a party sometimes, and yet the guest list often come as similar things. You’ll see plenty of vampires, werewolves, zombies, and witches around your house, so try to switch up your own party piece. You can turn old sheets into a perfect toga or dress to turn into a Greek Goddess for the night, or grab a wig to backcomb and then pretend to come out of a well. The thing about halloween costumes is that can be anything you want them to be due to the idea that our ancestors dressed up on All Hallow’s Eve to look different to confuse spirits. If you want to be Wonder Woman for the night, don’t let any ghoul stop you! Opt for an uncommon theme, such as mad scientists or monsters made by them. Put on 'The Monster Mash', and let your inner child go free. There’s a lot to be done for Halloween, and clearly all the stores are in the mood for it too when they’re already loading their shelves with the stock! Today's post is something a little different but I've teamed up with Thomas Sanderson to share and talk about their recent guide about The Psychology of Colour which they've recently posted on their blog. 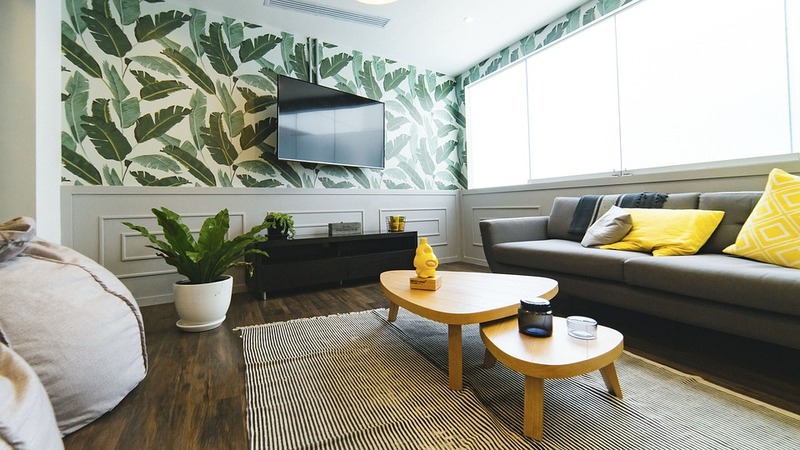 It includes handy tips on how to inject colours in certain rooms, what colours to avoid where and also just some general tips like how to make a smaller room feel and look bigger and so on. So I thought today I would write about what colours I prefer around the house and also what colours I tend to avoid because of how they personally make me feel. I've had my bedroom a warm, dark purple colour for a few years now and I'm not planning on changing it anytime soon because even though it kind of makes my room look smaller, it also gives it a cosy effect and makes me feel nice and relaxed - especially in Autumn/Winter when I've got my cute fairy lights on and candles lit. But I like to add in colours around my room just to break up the dark purple a little. Some simple ways how I do this is by adding in a mixture of fake and real plants (which is a tip in the Thomas Sanderson guide). I've also have added in two colourful canvases which blend into my room nicely too and I like to switch up my cushions on my bed regularly, just to inject different colours here and there, without having to change everything in my room. I've also realised whilst writing this post that we have a lot of green/teal going on in our house. The kitchen is a fresh light, olive green which I think is really welcoming and perfect for a kitchen, it goes nicely with the wooden cupboards we have too. We also have teal and brown in the living room which I think is quite cosy and feels quite earthy. My parents also clearly love the colour teal too as they have a pretty feature wall covered in birds on a teal background and also teal painted walls. A colour I personally don't like is red. I don't know if it's because it makes me think of blood, danger and whatever else, but I wouldn't paint a room red, ever. We've recently painted the staircase and landing white after it being red for years and I don't feel as on edge as I walk upstairs anymore and it just feels bigger and more open. Also whilst writing this post it's made me think isn't it kind of weird in a way how we all have a favourite colour and it's more likely a colour we love throughout our life? We all have at least one colour we're pulled towards more than others. What do you think about colour and how it affects us and the mood we're in? Chemist4U are a online chemist and you can buy everything from skincare, makeup, pharmacy products, sexual health care (including emergency contraception), hair care and much more. They also offer free shipping on all orders over £25. They kindly gifted me a £30 gift voucher to spend on anything I would like from their site. I decided to be sensible and pick up some essentials first, I had a nosey at what was on offer and was surprised to see so many well known brands available and some products from the brands were priced a lot cheaper than they are in Superdrug or Boots. So today I'm showing you what things I picked up from Chemist4U. Batiste Dry Shampoo - Tropical | Probably my favourite Batiste scent out of all of them. So I had to pick this up because I knew I was running low. Nail Polish Remover | I don't know why but I always forget to buy nail polish remover and then when I'm dealing with really bad chipped nails or I'm ready to put on a different nail polish I always get so annoyed at myself when I realise I don't have any in. Listerine Mild Mint Mouthwash | I haven't tried the Mild Mint flavour from Listerine so I thought I'd try it out. I'm not a huge fan of really strong minty mouthwashes. Kotex. Pads | For obvious reasons. Let's not even talk about *that* right now because I'm dealing with cramps as I write this, ugh. Osiris Triple Pack Face Wipes | You can never have enough face wipes! I don't really use them that much anymore for removing makeup everyday but they're handy for removing lipsticks or if I'm doing swatches for blog photos. Newton Labs T-Zone Spot Zapping Gel | This is one of the most underrated spot gel ever. It really works within hours and reduces redness and the spot size. OPI Nail Laquer - Kiss Me - Or Elf! | I saw that it was a Christmas edition and had to buy it. It's such a gorgeous shimmery plum-pink shade. Schwarzkopf Gliss Shine Tonic | I wanted to try this because my hair has been looking a bit dry and drab lately and I thought maybe this will make it look a bit more healthier. Maybelline Fit Me Face Powder - Natural Buff | I didn't really need another face powder but I thought I'd give this a try. I think it may be the wrong shade for me because it looks slightly orange but I haven't tried it out yet. Police To Be The Queen Gift Set | Lastly I picked is a gift set containing: Police To Be The Queen 75ml and also the body lotion. One of my cousins wears this a lot and I keep meaning to pick it up because it smells so nice and I don't own any other perfumes that smell similar to it. Altogether my order came to £31.60 which I think is really great. I know that the Police To Be Queen 40ml bottle in Superdrug is £27 at full price alone so to get the gift set for £12.99 was a complete bargain. I also found that the Chemist4U website was really easy to use and to get around and I got a text message the morning my delivery was going to arrive so I knew that it was on it's way. I will definitely be shopping at Chemist4U again! I've been saying over the past few weeks, I really wish we had another spare room in our house because I would definitely use it as a little office/chill out area. I'd love a place just where I can blog and be creative, as much as I love sitting on my bed blogging away, I'd love to have a dedicated area. I would say that my bedroom is a medium size but it's kind of bursting at the seams so a spare room would be the dream. 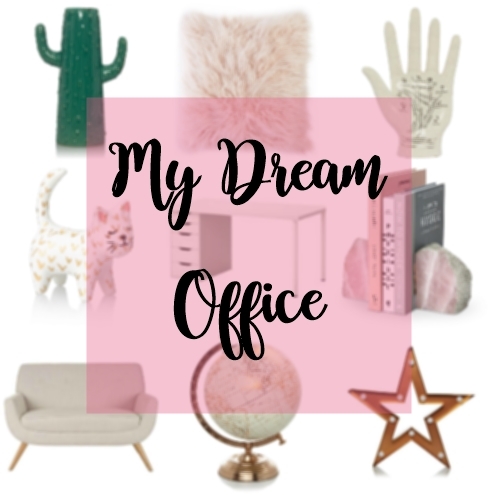 So today's post is something a little different, it's a blog post full of things I would have in my office if I was to have one. Obviously I can't pick and choose everything down to a T, or else this would be a really long post, but I thought I'd share some things I like the look of and would definitely pick up. Obviously, the first thing you'd think to get for an office is a desk, I would choose the ALEX Desk from IKEA because I like that it's got some storage but also has enough leg room for my chubby legs (lol). I just think white desks look nice in general, to be honest. I would also choose to have Wooden Venitian Blinds either in white or oak effect. Ambition Blinds based in Liverpool are a family run business and sell a wide selection of blinds from Venitian Blinds, Blackout Roller Blinds, Aluminium Blinds and many more. 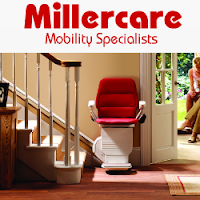 There's also a good selection of colours to choose from so there's definitely a good chance you'll find what you're looking for and they also offer a 12-month warranty too. I also really like the look of the cute Copper Globe from Asda, I'm a huge fan of Asda Homeware. I always find them to be great quality and affordable. I can't remember who has the Made.com Keira Office Chair, I think I saw it on someone's room tour on Youtube maybe, but I love it. It looks pretty comfortable and the copper legs just sell it to me, I'm not going to lie. It is a little pricey in my eyes for an office chair but this is a dream office post, so we're okay lol. I also love the look of the Star Marquee Light, again from Asda Home and it's only £10! I've seen them around at other places and they want £30+ for pretty much the exact same thing. I may have to pick it up for when I add some Christmassy decor in my room because I think it would fit in perfectly and I just think the Oliver Bonas Saskia Cat Ring Holder is just adorable. I wouldn't want a huge overpowering sofa so I thought the Skandi Natural Snuggle Chair from Dunelm looks nice and cosy. I would also have a bookcase mainly for adding some cute decor in the room rather than piling it from head to toe with books. I also really like the look of the Rose Quartz Book Ends from Oliver Bonas and I think they would blend in with the theme I seem to be going with. How nice and cosy does the Matalan Luxe Faux Fur Throw look? I want it! I think that it would look lovely on the Skandi Snuggle Chair from Dunelm. 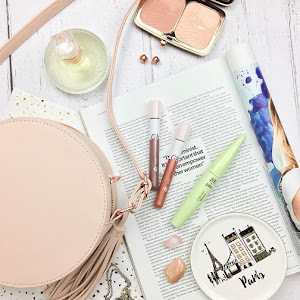 I would put the Copper Effect Desk Lamp on the IKEA Alex Desk along with my laptop along with some cute stationery bits and bobs and some pretty prints. I also love the look of the Primark Pink Fluffy Pillow which I would most likely pop on the Keira Office Chair just to make it look and feel a bit cosier. I also love the look of the Cactus Vase from George Home. If I didn't have cats which literally purposely knock any vases over in the house, I would definitely buy the vase for my room right now. I also would have those ALEX Drawers from IKEA in my dream office and I'd probably store makeup inside if anything and maybe some paperwork too. I also like the look of the Palmistry Hand from Asda George, I think it would look lovely on the bookcase from Tesco. So there's the kind look I would go for if I had my dream office (or an office at all lol). What things would you have in your dream office? If you've ever read one of my skincare related blog posts before then I'm sure you've seen me mention that I do have quite problematic skin, I'm currently having a battle with my chin as I write this because I have a cluster of hormonal spots which don't seem to want to go away anytime soon, ugh. So I thought I'd do a blog post about my affordable makeup picks for problem skin days. First up is the NYX Pore Filler RRP £11* which I have been using for just over a month now. But this has kind of been my go-to primer as of late anyway, it does exactly as it says and fills in any open pores and smoothes out the skin nicely. The application is a little messy because it seems to come out of the tube in a lumpy way but the product itself is fab. For a cheaper primer I also really like the Collection Primed and Ready Illuminating Primer RRP £4.99 which mattifies all of your oily areas and then adds a nice glow to your cheeks and gives you a nice radiant look. Next up is the foundation and this may sound a little OTT but I have 3 foundations which I go to when my skin is acting up. It kind of depends on the actual breakout and how much coverage I want, so for Light-Medium coverage I like the L'Oreal Infallible Matte Foundation RRP £8.99 which is great for minimal breakouts or breakouts which are calming down and it controls oiliness as well. If I'm dealing with a hormonal breakout or if my skin has had a reaction to something etc then I like The Body Shop Matte Clay Clarifying Foundation RRP £10* because it contains tea tree oil and it really controls any oiliness, plus there's a lot of shades to choose from and lastly I really like the Revlon Colourstay for Oily/Combination Skin RRP £12.99 which I've heard is basically the drugstore dupe to the Estee Lauder Double Wear, I personally can't say whether I think it is because I've never tried the Double Wear but it is more of a thicker consistency and I find you don't have to use a lot to get a good amount of coverage. For Concealer I do tend to go for the obvious one which is the Collection Lasting Perfection Concealer RRP £4.19 in either the Fair shade or the correcting Lemon shade (I find sometimes the Fair shade seems to be a little clingy and the Lemon shade is more creamier). I also picked up the Seventeen Phwoarr Paint RRP £5.49 recently which is basically a dupe to the Benefit Boi-ing. It's very heavy duty and is aimed at covering up dark circles but it's nice and creamy and doesn't cling to spots and it's also got a good little mirror inside too, so it's a good one for travelling. I own so many powders but my favourite is a complete steal and I find it works the best for my oily skin and it's the Collection Primed and Ready Invisible Setting Powder RRP £3.99. I've never almost hit pan on a powder before but I almost have with this. It's so lightweight on the skin and just keeps everything in place. For loose powder, I like the Element Vegan Cosmetics Loose Powder in the shade Quartz RRP £10* which again is really lightweight and my skin feels as if it can still breathe. If I'm breaking out on my forehead I'll do a bolder lip and if I'm breaking out on my chin then I'll go a little more out for my eye makeup - just so that it kind of draws the attention away from problem areas and I tend to avoid highlighting any areas around present spots too - so say if I have a lovely big old spot on my nose, then I won't highlight the tip of my nose. I also apply my concealer first when I have quite noticeable spots too as I find that the concealer stays put for a longer amount of time. Hope you liked this post and enjoyed reading it! What do you do when your skin is acting up? It's time for another monthly wishlist... yay! I really enjoy doing wishlists. This month is quite a jam-packed one which is why it's a few weeks early so I don't end up adding anymore lol. Also, can I just say, how am I already doing my November Wishlist!? Where did October go? Browsing the Joanie website has become a bit of an obsession, I swear. There are so many gorgeous tops and dresses which I'm so tempted to buy. This "La Bicyclette" T-shirt will probably be in my wardrobe very soon because I just think it's so cute and I love a comfy oversized T-shirt. If you haven't heard of Glossier by now then the real question you need to ask yourself is "Where have you been lately?" because it's everywhere, especially since it recently was launched in the UK (woo!). I have already placed my first order but I didn't pick up the Milky Jelly Cleanser that so many people keep raving about just because I'm literally taking over the bathroom with my cleansers rn. I'm basically a cleanser hoarder so I'm either going to have a good sort through my cleansers or end up adding yet another to the ever-growing collection... probably the latter, let's face it. I've been on the lookout for some new dresses recently because I'm not really a dress kinda girl but I've just had a sudden urge lately to start wearing them, I have no idea where it's come from. So when I came across this Royal Blue party dresses from QUIZ Clothing I thought that it would be a nice dress to have in my wardrobe. I like that it's a skater dress, as I find them to be more flattering on my body shape and I think the colour is so gorgeous. I'm still on the lookout for a nice pinafore dress that suits me and doesn't make me look as if I'm wearing a tent, it's proving to be difficult, believe me. But I really like the look of the Khaki one I've come across at Asda George. The only problem is - it's never in stock in my size, sob. 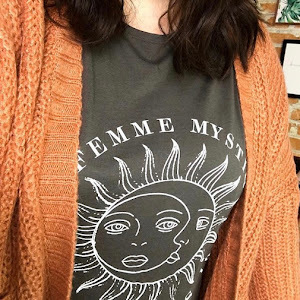 As you may have seen in my previous kind of wishlist post, I have got a huge amount of love for slogan printed t-shirts, tops or sweatshirts right now. So obviously when I saw the J'Adore Sweatshirt on the New In page on New Look, I wanted it straight away. As well as the Sloth slippers, they are totally unnecessary but so bloody cute. As soon as I saw the Colour Block jumper I wanted it. But because of my recent Clothes Haul I feel as if I have enough jumpers for now but I think if there's a promo or if it gets reduced I'm definitely going to pick it up because the colours just scream Autumn and I like that they compliment each other so well. I also saw the Floral Smock Dress and thought it was pretty and obviously red is a big 'in' colour right now. I think it would look lovely with an oversized cardigan, tights and some boots for an easy autumnal looking outfit. I also really want to try out the LUSH Magic Wand Bubble Bar but I'm currently waiting on a LUSH delivery to arrive and I picked up The Magic Of Christmas Bubble Wand instead. So I want to see if they're actually any good before I pick up the other bubble wand. I also have a few products which have the Snow Fairy scent so I wanted to pick up something that had a different scent too. Another Glossier product on my wishlist, oops! I really like the look and sound of the Stretch Concealer but I have bought and also received a few new concealers over the past month or so, so this will be more of a treat purchase, I also need to see what people think of it before I decide to maybe buy it because £15 for a concealer is pretty pricey for a drugstore loving gal like me. I really like the look of the Brown Fluffy Cardigan from New Look, it looks so snug! I think it would look lovely will a pretty autumnal looking dress and my new hiker looking boots. Also, I love the Velvet Cat bag, I really want to get it but I'm worried people will think I've literally gone full-on crazy cat lady lol. 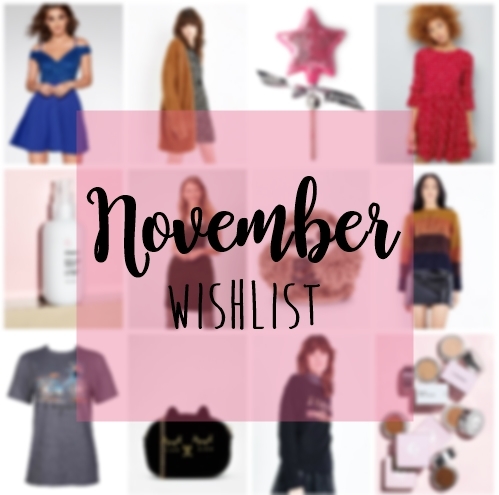 What's on your wishlist for November? I've been picking up quite a few bits and pieces for Autumn and Winter since late August (Yes, I started early this year but I was just ready for colder weather lol). I've mainly picked up jumpers, sweatshirts and tops because in Autumn/Winter I usually just wear leggings or jeggings because I find it so hard to find a good fitting pair of jeans which don't drown me because I'm so short and also cater for my chubby tree trunk legs. So I thought I'd share with you some of my favourite pieces of clothing I've picked up recently. This may be one of my favourite clothing purchases this year, I know it probably looks pretty plain and simple to most of you but as I said back in my Summer Fashion Trends blog post a few months ago, I'm obsessed with stripes and embroidery, so this t-shirt is perfect for me. I did have to size up (obviously, it's H&M ha) and it is quite a boxy fit which I don't usually like but I decided to keep it because it's cute and I will definitely wear it a lot. I think this is where my slogan obsession started, I was having a nosey on the Joanie website whilst there was a sale on and I saw this and I had to buy it. Again I sized up because I wanted it to be more oversized and it fits just nice. So if you do get anything from Joanie then I would suggest sizing up if you like more of a comfy fit. But I love this sweatshirt, I wear it so much - it's just perfect for one of those "throw on and go" kind of outfits but it's also nice to just wear about the house too. I got this a few months ago in the sale for £12, it was supposed to be £39.99 so I was like Yes! I need this. But then I wore it a few times and hated the bow sleeve tassel things so I put it away whilst trying to decide whether to sell it or try and cut off the tassels and potentially ruin it completely. I did the latter and it actually worked out well and you can't tell that they were even there. I think I can just about get away with wearing this right now because the weather is a little all over the place and it's not hot but it's not freezing. It also has frills on the back which I forget to take a photo off, but I think it just adds a little cute touch to an outfit. In the space of about 2 weeks, I've gone from owning no mustard coloured jumpers to owning three. This one is my most recent one and probably my favourite because of it being longline. It's not too thick but not too thin so it's good for what the weather is like right now. It's really comfy and I think it looks nice with a minimalistic looking necklace. They also sell these jumpers in lots of different colours from Khaki, Kingfisher Blue, Shell Pink, Burgandy and more. I definitely want to try and get my hands on some of the other colours but they do sell out really quickly, which I'm not surprised about at all because they are a complete steal. Yes, I caved and got my hands on THOSE tassel earrings, mainly because I've seen two of my fave fashion bloggers Hannah Gale and Grace Victory wearing these and they just look so nice with so many different outfits. It's taken me ages to get them because they kept going out of stock quickly and people were trying to sell them on Depop for £20+ (cheeky sods!). But one morning I was tracking my H&M order and I just happened to look if they were in stock and they were. I'm usually a Primark or New Look stud earrings kinda girl but I do like these and Red seems to be an "in" colour right now to wear. They are a little big and heavy but I think it's because I'm used to wearing basic studs but I like them. If you saw my latest wishlist last week then you'll have seen that I have all of a sudden started loving anything with a slogan print. My two favourite slogan printed t-shirts are both from New Look and are so comfy and great to pair up with oversized cardigans or my denim jackets. The La Belle Fleur T-shirt has actually gone into the sale and is now £5 and the Belle Ame Mon Cheri T-shirt grabbed my attention because of the cute bee and also I like the eye-catching green and it was only £7.99. This is probably my favourite jumper at the minute. I still can't believe that this is a size L (16/18) and it fits me in an oversized way, which is great because we all know how much I love an oversized fit because I'm always banging on about being comfy and cosy. Its such great quality keeps me nice and toasty and I love that the "DREAM" slogan looks kind of 3D and retro looking. As I mentioned at the beginning of this post, I have quite chunky legs so I find it hard to find jeans which fit nicely and another problem is boots, every year I struggle when I get the urge to buy new boots. I usually give up and just buy some UGG looking boots which are super comfy but not the most flattering on me because I'm so short and I think they can make me look a bit stumpy (especially when I'm wearing my long parka coats). So I got these boots which kind of remind me workmen/hiker boots but they're really nice and I like that they have some height to them too. I think they just add something to my usual go-to casual outfits and they are really good quality considering they were only £20. They look so nice with a slogan t-shirt, denim jacket and leggings for a casual look. I can also see them looking nice with a nice printed smock dress or wine/burgundy pinafore dress - both of which I'm looking out for right now to add to my Autumn/Winter wardrobe. So there are some of the things I've picked up recently for Autumn/Winter. My bank account may be weeping rn but at least I have some pretty new clothes for my Autumn/Winter Wardrobe. I know, I know, I'm pretty late to the party with the whole double cleansing thing but I kind of avoided it like the plague at first because I have oily skin so putting a balm or oil on my skin at all seemed like a big no, no. That was until I was reading about double cleansing and its benefits. I decided to pick up the Camomile Cleansing Butter from The Body Shop and my mind was blown at how quickly my skin changed. In the short space of time I've been using the cleansing butter I've noticed that my skin doesn't seem as oily (but you could say that's because of the change of season too I suppose) and I'm also not getting as many nasty, painful breakouts either. I'm still getting the usual hormonal breakouts but they are definitely not as bad. A week or so after picking up the Camomile Cleansing Butter and falling in love with it, I got the opportunity to try out the new Timebomb PEACE + QUIET Coconut Cleansing Oil* and I was excited to give it a try. The PEACE + QUIET Coconut Cleansing Oil claims to be suitable for all skin types including both sensitive and oily. It's a gentle formula which cleanses the skin and dissolves dirt, grime and also makeup. "It contains a blend of Grape Seed, Sunflower and Safflower oils along with botanical superstar Coconut Oil known for powerful antioxidant, anti-bacterial and anti-inflammatory properties." I usually use the Double Cleanse technique at night time before bed rather than the morning just because to me it makes more sense to do it after wearing makeup or being out and about so I can remove both the makeup and any grime or dirt which my face may have picked up. I've been using the Timebomb PEACE + QUIET Coconut Cleansing Oil for a few weeks now and it's really nice. It turns quite milky when massaging it in and it doesn't feel heavy on the skin at all. It also doesn't leave any residue or film after removing it, which is great. I've also found that it's not hard to remove either with a warm face cloth. I think if you have dehydrated or dry skin then you could probably get away with using it on its own rather than a first cleanse. I've been using as a first cleanse at night and it takes my base makeup off pretty quickly and easily but I have found I do have to work a little bit harder to remove my eye makeup but I do tend to wear waterproof mascara more than regular mascara so you do have to take that into account. Overall I do like this a lot it is on the pricier side at £25 for 175ml but I would consider picking it up again if I fancied treating myself to a nice cleanser that I know works well for my skin rather than going on the hunt for another alternative cleanser that may not do a good job. It's not as messy as The Body Shop Cleansing Butter (as much as I love it!) so it's great if I want a quicker double cleanse before bed (rather than reaching for the face wipes). As I've already mentioned I've found that the Timebomb Cleansing Oil isn't heavy on the skin but I do think that the Camomile Cleansing Butter removes makeup quicker as I think it's a little more heavy duty if that makes sense. So I've been using the Timebomb PEACE + QUIET Coconut Cleansing Oil more so when I have opted for a more minimal makeup kind of day. I don't think this is a cleanser that you need to rush out and buy ASAP but I would recommend it if you're in the market for a cleansing oil that is lightweight and easy to work with, does a good job and also has pretty packaging as an added bonus. What's your current favourite cleanser? Or have you got your eyes on a particular one?